You are not logged in. [Log In] Boomer Women Speak » Forums » Family » Singlehood » New Job & New Guy! #69316 - 09/30/04 10:31 PM New Job & New Guy! I have a job that I can deal with! YAAAAY for me, LOL> I will be a guide for the blind at the university that I attend. The first one is in the MBA program there. I start Monday and am looking forward to this. OK! For the new guy...hmmm, he's a minister. So far, he thinks I'm perfect and would like to get to know me better. Oooops. What will happen when he finds out that I'm not perfect? I love his stimulating conversations. The book we use that maps all of our conversations thus far is the bible. Anytime we start speaking on a subject, since he's a minister, he can show me that very thought or action right there in the Good Book. I absolutely love it. We've only had one date amd several phone conversations. He went to my church w/o me because I was lazy and didn't get up on Sunday. My pastor welcomed him in and even sat him with the rest of the visiting ministers. He even closed the service. #69317 - 10/01/04 12:16 PM Re: New Job & New Guy! #69318 - 10/01/04 05:28 PM Re: New Job & New Guy! Congrats on the job. Will you lead them around campus to all their classes? How'd you meet the minister? Does he pastor a church right now? #69319 - 10/02/04 07:27 AM Re: New Job & New Guy! I met the minister at his job as a car dealer. My daughter and I were window shopping for her a car. We just started talking and he was impressed with the conversation the three of us were having and asked me out on a date. He's not with a church right now but I believe my own pastor really likes him so you just never know when dealing with God where this will lead him or us. Things moved so fast there in just that one date. Two days later, there he sat in the pulpit with the other highly respected God men. I think he just completed seminary school?? Not clear on that as of yet. He probably told me but I was simply amazed when he told me that he was a minister during our date, LOL. I was acting ok but not the way I wouldve had I known he was a minister (I used a bit of profanity). My daughter just rolled her eyes and said, but only in my earshot, "She's not going to like you...you're wasting your time..." I laughed and decided to give him a try, for her sake. She wants me to be with someone so badly. She thinks I'm too picky. I think she wants me to be in a relationship so that I wont be alone when she leaves for college next year. I think another reason is that all of her friends' mothers are married or dating someone. Anyhow, about the job, I will be in class with them. I only have one to begin with. I met him and he is just awesome. I can't believe he can figure out statistical problems in his head like that. This one only has 2 more classes before he's done with his MBA! Wow! After that, he plans to start on his dissertation immediately. I'm impressed and very happy to be a part of this. Hopefully I will be able to learn brail and take this a bit further; maybe teacher computer classes or program or something for the blind. I had no idea that I was so interested in this. I guess I can thank JJ and Chatty and Smile for nagging me about doing something for someone else to get my mind off of my issues. Those wise ladies are right. #69320 - 10/01/04 09:25 PM Re: New Job & New Guy! Hi Sugaree, I'm fairly new and have been trying to keep up with all the posts, reading old ones etc. Sug (if I may call you that) You have an amazing, fullfilling life! I am impressed! A new and unique job, attending University,learning brail soon, a daughter almost ready for College,a new guy who is not only a car dealer, with an upcoming MBA but also a man of God!!! And better yet, your daughter approves!! All this and Wise friends to guide you, pray for you and listen to you! You my dear are truly Blessed! Count me in as one of your friends! I can learn alot from YOU! #69321 - 10/02/04 10:08 AM Re: New Job & New Guy! Thank you, Chic! I never really put all of these wonderful event in my life together the way you did. However, you're right. I am blessed. I love blessings. Unfortunately, I'm only human and don't recognize them when I should. Thanks for lining them up and thus pointing them out. Well, maybe he doesn't think I'm so perfect after all. He didn't call me. Now, let me get this 'man' thingy right here: They don't want 'easy' but they do want 'attention.' They don't want to 'know' that you're 'interested' but they do want you to act like you can live 'without' them?????? 'Mr. Minister' called me several times but I had changed phone services and didn't know how to check voice-mail yet. When I learned, he had called many many times with some very cute and creative messages...really cute. So cute that even a woman like me that tries her best to fight love because I've learned that it's a crock of sh*t even couldn't resist. I called him back. He wasn't there (voice mail against my better judgement) and so I left him a 'cute and witty' response (privately inquire if you really want to know the details). Anyhow, I'm confused all over again. I think that somehow and somewhere, I've lost my passion for a loving relationship. Maybe my daughter is right. Maybe I will never be able to love or trust or are those one in the same? #69322 - 10/03/04 09:28 AM Re: New Job & New Guy! I think you can love a person for awhile and not trust them but sooner or later one does become the other. So without one or the other Bye-Bye relationship. Take it slow my dear, you've only just met this man and I'm hearing the word love already. Much much too soon. #69323 - 10/03/04 04:41 PM Re: New Job & New Guy! I agree with Chatty. What's the rush? Instead of trying desperately to make this into some romantic fling, why not just enjoy the friendship and see where it goes? Don't force it into a mold of what you believe a relationship should be. And I would NEVER date a person (or give them a try as you stated?) just because my daughter liked them or I thought it would please her. It's YOUR life, not hers. She almost college age? Why are you trying to please her? Please yourself. #69324 - 10/03/04 10:16 PM Re: New Job & New Guy! Ok, you're right. It's my life and I should be happy and not my daughter (as it pertains to this). Well, I hadn't thought of it as 'desperate' but I guess since I'm discussing this and really trying to 'let it work' vs not giving a D, I am kinda obsessing here. Hmmm. Guess I'm a bit uptight. Meditation or yoga and/or prayer is what I will do to calm myself down here. I think I really don't know how to love anymore and that's a problem for me since love is the greatest gift that we can give and recieve. Maybe that's my panic. #69325 - 10/04/04 08:17 PM Re: New Job & New Guy! I think this new job sounds wonderful. How grand for you. Congratulations. Okay, I'm cynical and sometimes bitter. There were a couple of things you mentioned about this budding and possible relationship that sent alarms down my spine. Go slow. Be careful. Listen to your soulful voice. #69326 - 10/05/04 12:23 AM Re: New Job & New Guy! Can't you just have fun with this guy as a person without considering him as a mate? Having recently been single myself, I went out a lot with different guys -- just for fun. I almost always had a good time and they seemed to enjoy my company. They almost always called again. Several wanted more closeness and I had more proposals after the age of 50 than at any time in my life. I never really rejected anybody. I just sort of got busy and skirted the issue by teasing my way around it. I wound up with a lot of friends and had a blast in the process. Not every man is out to take advantage of you. Some just want company. And why not enjoy that? At one time I thought if a man bought dinner and took me to a concert or movie, I owed him something, but I finally came to realize that my company is enough. I tried to look as good as possible and be as personable as possible and that's all I had to be. Men took me to company parties and church, etc. as well as concerts and plays, etc. and I was nice and smiled a lot and tried to make them look good and that was all I had to do. I was having a blast when I married my husband. It just happened. When and if the right man comes along, both of you will know it. If not, you'll have had a lot of fun and a bunch of new friends. Don't take a date too seriously. It's just an opportunity to have fun in the company of someone you like or will like--if you allow it. #69327 - 10/05/04 07:01 AM Re: New Job & New Guy! [QB] I think she wants me to be in a relationship so that I wont be alone when she leaves for college next year. Your daughter approves of you "seeing people on a dating basis" was the jist of my previous post.It may not be her business ,never the less,it poses problems if a son/daughter is upset about Mom seeing anyone at anytime. I felt that your daughter thinking she doesn't want you to be alone shows that she cares about you in an unselfish way. If I came across differently, I didn't mean to. #69328 - 10/05/04 08:57 PM Re: New Job & New Guy! Oh, no Chicadee, I didn't take your comments as negative at all. Everyone has an opinion. We wouldn't post our emotions if we didn't seek the opinion of others. Some agreeable, some not. Most of the time here, when you put a subject out there, you'd better be prepared to accept those varying opinions. I'v been angry before, even asked myself why I cared what a stranger thought. Well, it is not that 'simple' here. These are real, and for the most part, intelligent folk behind these opinions. 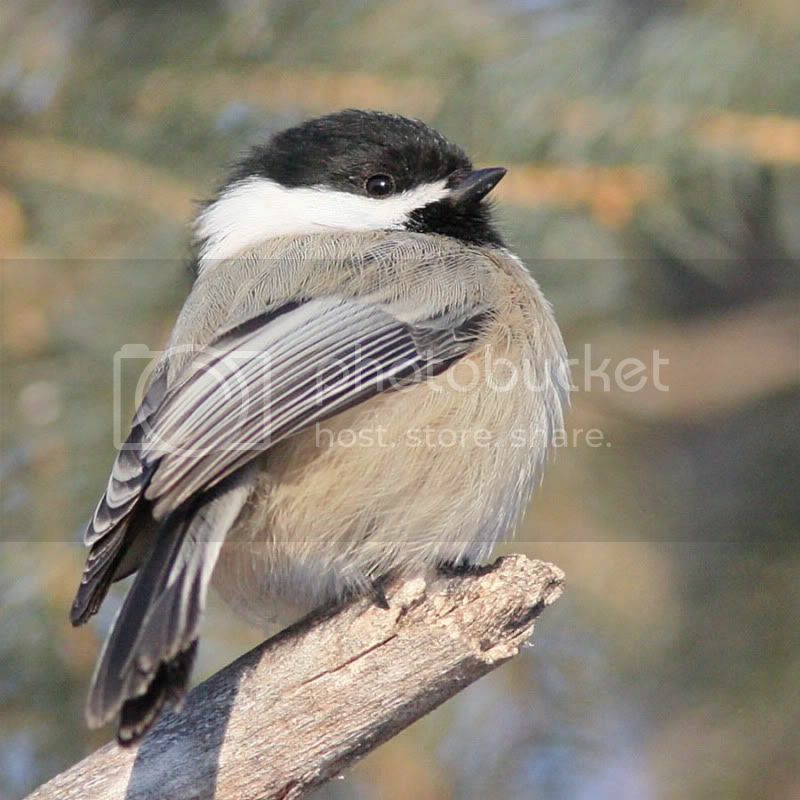 So, speak on Chickadee! I'm glad you could hear the excitement in my post. Of course with that excitement, I needed to listen to the flip sides in which Smile and JJ presented. I call them 'balance.' I do tend to get overly excited about situations that most of the wise women have experienced already to some degree. Sometimes I hate I asked, but for the most, I'm glad, no matter the outcome. Have a wonderfully bright and blessed day! #69329 - 10/05/04 09:32 PM Re: New Job & New Guy! Hey SMILES....I think Sug just called us wise...zat the same as being old? #69330 - 10/06/04 01:51 AM Re: New Job & New Guy! JJ, Wash your mouth out with soap. We're just sweet YOUNG things wise beyond our years and you know it!! #69331 - 10/06/04 02:58 AM Re: New Job & New Guy! When I was ten, fifty looked old. Now at fifty, I thought ninety was old but as I was researching Newfoundland Authors last night, look what I came across! Russell's book, Memories of a Lifetime, is an interesting account of a life during which he, like many Newfoundlanders of his generation, turned his hand to a variety of things to make an honest living... "I guess I could have started writing the book earlier," laughs Russell. "But if I had started when I was 50, I wouldn't have had as much to write about." The Captain wrote his 179-page book the old-fashioned way--with a ball point pen and paper. "Having this in mind for a long time, whether or not I should write my autobiography, I have now decided I should. Therefore, to the best of my ability and knowledge and with God's help, I will try to give my family in particular some idea of how I managed to get to the place where I could stand alone." #69332 - 10/06/04 04:36 AM Re: New Job & New Guy! This sounds like a book I would want to read, no joke. How interesting! I think old is whatever is 15 years older than me. #69333 - 10/06/04 08:47 AM Re: New Job & New Guy! Quite a few writers for the Island...Bonnie Jarvis Lowe is listed also. We had some crazy sayings growing up. Everything was referred to as "Old as Buckley's Goat" ever heard that one? #69334 - 10/07/04 03:10 AM Re: New Job & New Guy! The guy still writing at the age of 91 brings back memories of a writer friend. The most published author in my writing group (The Writers of the Purple Page) was a retired journalist and photographer. He died last year at 91 a month before his most recent magazine article appeared in print. He had also just finished writing his memoirs of WWII as a novel. His family is attempting to get it published. He was such a gentleman and always had a twinkle in his eye. When he published an article, you could see it in his walk. He practically danced up the lane to the house. I had him a party every time and he reinged like a king. Even got him a crown once. Neat guy. Thanks for reminding me of him. #69335 - 10/07/04 03:45 AM Re: New Job & New Guy! Smiles - This was his first Book - at 91 - isn't that wonderful! I just might pick it up while I'm there in NF. Did you get your PM? #69336 - 10/07/04 06:25 AM Re: New Job & New Guy! I hope you buy the book and let us know how it is. I miss our 91 yr. old. He was such a grammarian and a great loss to the group. Just checked and replied to your email. I guess I missed it. Don't worry about the tornados. Most of the time it's just one big storm chase event. About as intelligent as noodling for catfish. #69337 - 10/07/04 02:52 PM Re: New Job & New Guy! Noodling? (I'm from Canada,Aye) Never heard of it...so I researched. I can run underground from a Tornado, but I don't think I'll go underwater for "any reason"! I think I know why they call it "Noodling". You've lost your noodle, so why not go hand fishing and lose that to! #69338 - 10/07/04 04:47 PM Re: New Job & New Guy! Ninety-one! What an inspiration. Just goes to prove we are never to old to start something new. #69339 - 10/09/04 02:12 AM Re: New Job & New Guy! Noodlin' is for major macho men. At least I don't know any women who do it. I do know a few male noodlers though. Lots of guys did it where I grew up. There's even a movie about it. You'll probably love tornado season unless one strikes where you live. Everyone turns into a 'storm chaser' and the television news types fly into the storms in helicopters. Everyone watches on TV and calls their friends to see if they're ok. No one gets in the 'fraidy hole' unless it's practically on their doorstep. Except my Mom of course. A standing rule in our house growing up was that we had to come home if it thundered. Mom was a major tornadophobe. I would love to hear more about the 91 yr old's book too. Just goes to prove it's never too late. There's still hope for us all. #69340 - 10/09/04 02:35 AM Re: New Job & New Guy! Hope!? Did someone mention hope?! I need some of that, lol. Well, the job is going fine. The blind guy, Dean, is just amazing. He's getting his master's degree in accounting. Imagine that. He's taking advanced statistics right now. I just can't imagine him doing something like this in his mind...solving such complex equations and concepts. Jeeez. That sure is an inspiration. He's dictating what he wants on his Power Point presentation to me. Just developing it is hard for me. The graphs and histograms and such. Wow! Have a great weekend all! My head is going to be buried in books this weekend, plus my son is coming up from Louisiana to visit his mommy and sister. Isn't that sweet? He and some friends he met from Chicago are home-sick. Guess that means that I'll have several young men here. Ooooh nooooo! #69341 - 10/09/04 07:11 AM Re: New Job & New Guy! Gawd Sug...you didn't even mention him! I"m like a soap opera addict!! I gotta know! #69342 - 10/09/04 10:17 AM Re: New Job & New Guy! Well, Chickadee, I really don't know what to say about the minister. I'm not sure if he's just not interested or if he's just being 'respectful' while he deals with some issues he mentioned. However, it's been a few days since I last spoke with him. To some of the BoomerWomen's credit, I've just relaxed and not really asked him or pursued the issue. I do have to admit that my 'worldly' mind has been inclined to call him vs. letting him do the work it takes to find his own queen...but I haven't. I would like to think that this 'ignorance' has made me sad, but, Dotsie mentioned something about a 'gut' feeling in her post to this subject once. Since I was also feeling 'something' about him, I was scared to inquire and I did the typical human deed, ignored it. So, all of the soap opera viewers will have to wait like I will. There is 'something' about him that I really can't place my finger on. Maybe it's not for me to do as of yet, if ever. Maybe God is sparing me and that is why I haven't heard from him. Maybe there are too many maybes for me to 'worry' about. I did enjoy our conversations. He did introduce some new Godly concepts to me. He was always pleasant and never tried what my 'worldly' dates have, which is to attempt to manipulate me in one way or another. They say that God works in mysterious ways. Maybe God just wanted him to bring me the discomfort of writing what I write. I have not found comfort in it since Dian's issue. I have not found comfort in it since not being able to show him some of my work. Who can really say why certain people come in and out of our lives? Now, to mess all of that up, I feel inclined to say this in all honesty. An 'affliction' of mine called lust crept into my life. Chatty, the one that you scorned and warned me about. JJ, the one you darned near called me a stupid dumb fool for...Smile too...He called. I answered, against my better judgement. Instead of telling him that I no longer have an interest in him, I indulged in conversation that I realized would lead me back to my affliction with him. That was mistake numeral uno. Someone or something within me spoke up and allowed his destorted view to become my own. I feel sick and sad that I didn't tell him never to call me again. But, truthfully speaking, it was killing me that he had not called me in what I consider, I timely manner. Does it always have to be like that? To want was is not good, so bad? It's pretty late in the evening and all I can do is think about what will happen 'if' I answer his call again. I'm wondering if my righteous mind will intervene and say "No, you may not come to me and make me feel those wicked ways that left me mesmerized. No! You may not conquer myself in that lust-filled way again! No. Just NO!" This is bad and I do need prayer because all I want to say is "YES. Defile me. Please do what you are good for and I will deal with my 'soulful' emotional issues, as a result, later." I need a momma! A God sitting right next to me and a guard to keep my gate closed to this man! A chasity Goddess! Yeah, that's the one! I really dislike this part of being single. To have to fight this raging natural feeling is such a chore. I know the women that are married will probably turn their noses up and think that this couldnt possibly be a 'real' issue. However, it is. Please don't forget it either.